As we can see in the H4 chart, the convergence made EURUSD start a new ascending correction, which has already reached the retracement of 50.0%. 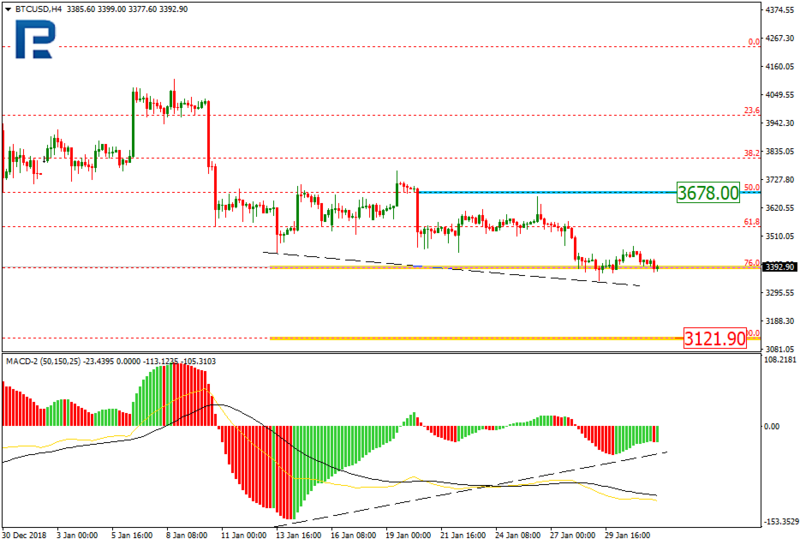 The next possible targets are the retracements of 61.8% and 76.0% at 1.1463 and 1.1503 respectively. The support level is at 1.1355. If the price breaks the high at 1.1570, the instrument may start a new long-term uptrend to correct the previous yearlong downtrend. The possible target of such correction may be the retracement of 38.2% at 1.1726. 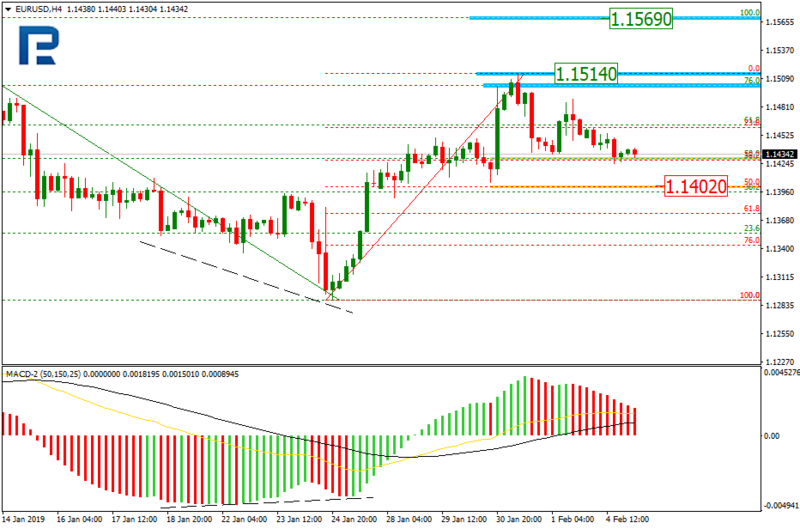 As we can see in the H4 chart, GBPUSD is forming a short-term descending correction inside the uptrend. 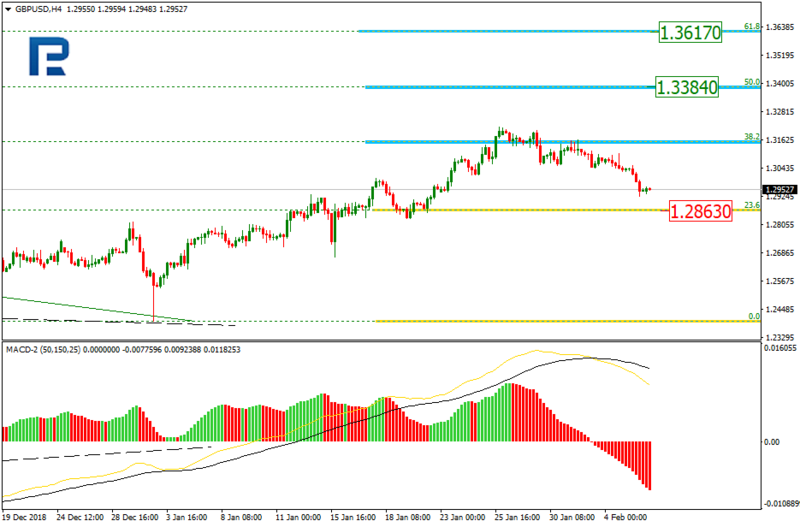 After finishing the correction, the pair may form one more ascending impulse to reach the retracement of 50.0% at 1.3384. 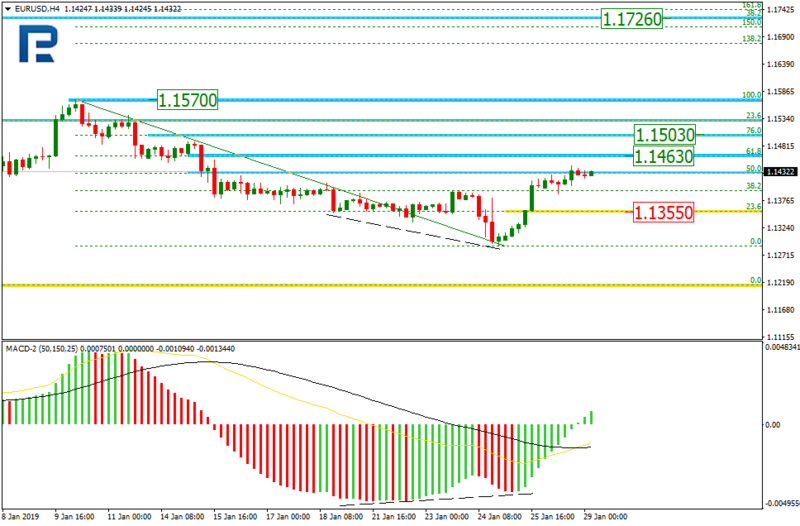 The support level is close to the retracement of 23.6% at 1.2863. 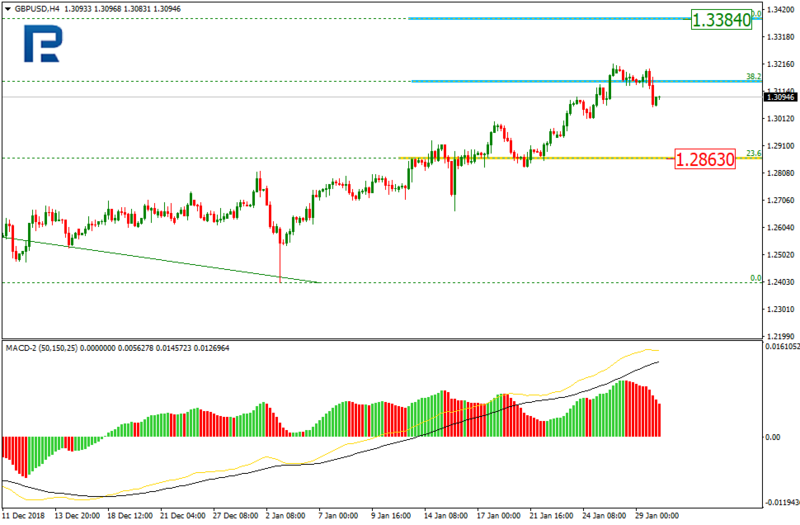 As we can see in the H4 chart, AUDUSD is forming a new rising wave. 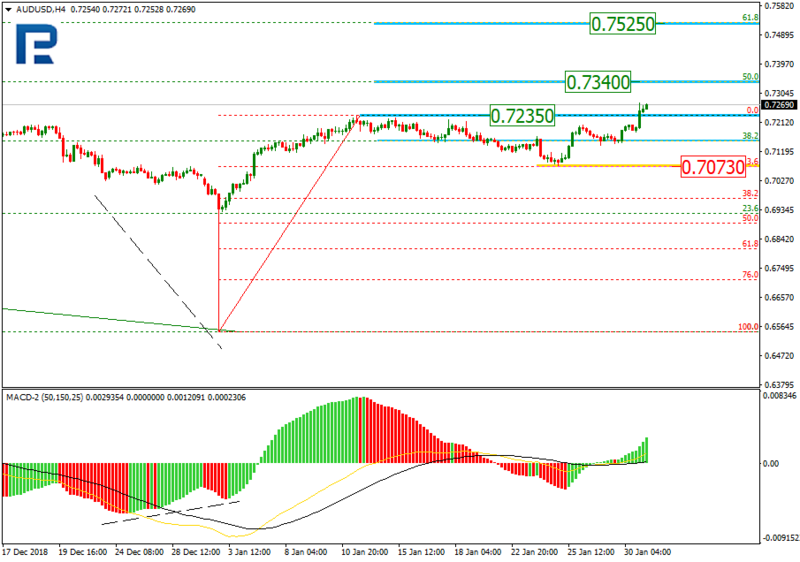 After being corrected to the downside by 23.6% (0.7073), the pair has finished another ascending impulse. If the price breaks the high at 0.7235, the instrument may continue growing to reach the mid-term retracements of 50.0% and 61.8% at 0.7340 and 0.7525 respectively. The support level is at 0.7073. As we can see in the H4 chart, the correctional downtrend has reached the retracement of 76.0% and may continue falling towards the low at 3121.90. 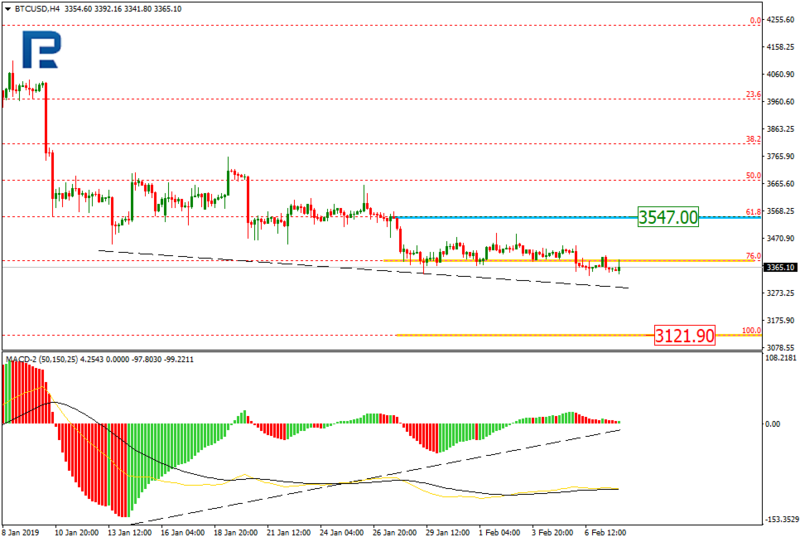 However, there is a convergence on MACD, which may indicate a possible pullback towards the resistance level at 3678.00. 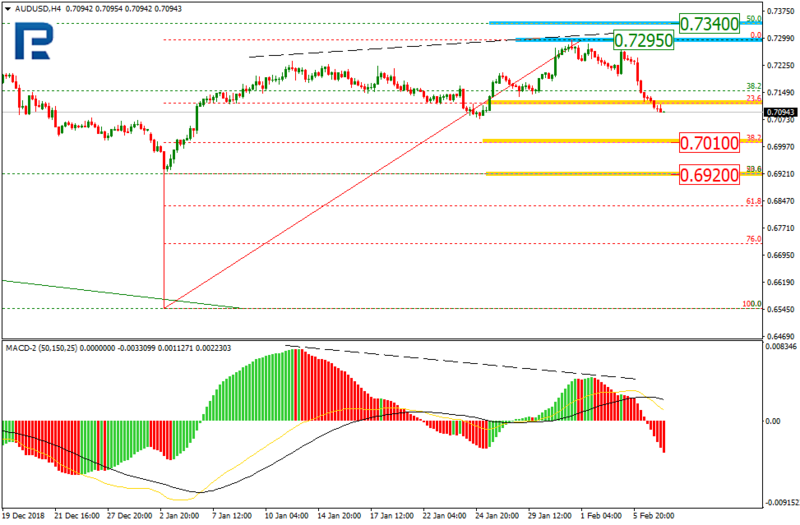 As we can see in the H4 chart, XAUUSD reached the mid-term retracement of 76.0% and then there was a divergence on MACD, which means a trend reverse or, at least, a pullback. 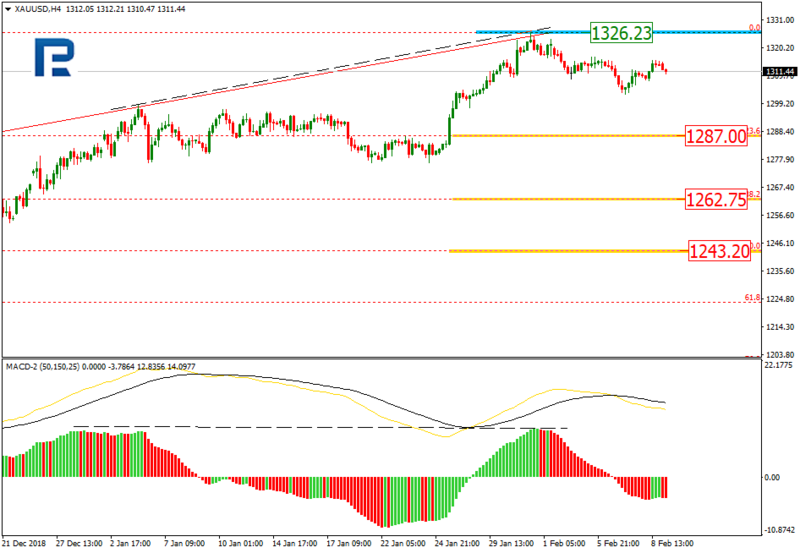 The first target of this pullback may be the retracement of 23.6% at 1295.50; the next ones – the retracements of 38.2% and 50.0% at 1276.60 and 1261.30 respectively. The support level is the high at 1326.23. As we can see in the H4 chart, the convergence made EURUSD start a new ascending correction, which reached the retracement of 76.0%, but then the pair reversed downwards. 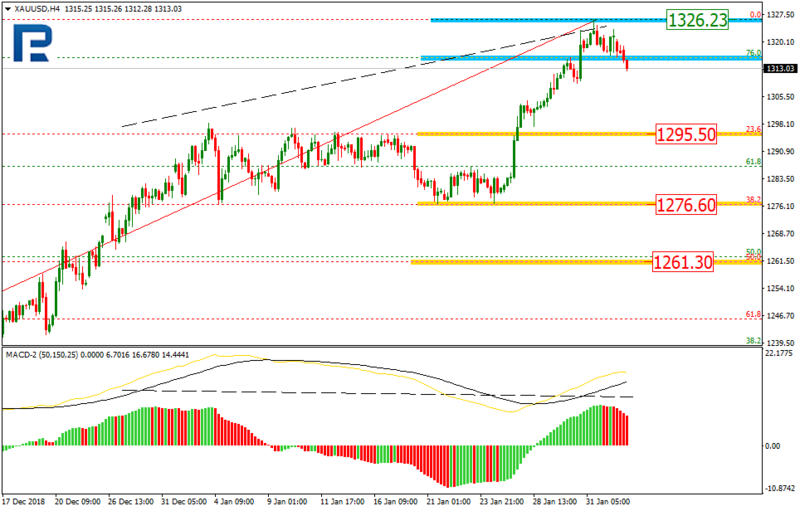 The closest downside target may be the retracement of 50.0% at 1.1402. After reaching the target, the instrument may start a new rising impulse to reach the high at 1.1514 or even maybe 1.1569.